Many gardeners neglect or give up on their roses in the summer, seeing the quality of the bloom decline as temperatures increase. Maybe they think roses only bloom in the spring. Rose blossoms do tend to be smaller in the summer and the colors are not quite as vivid because the summer heat forces the blooms to open before blossom size and color pigment have completely developed. 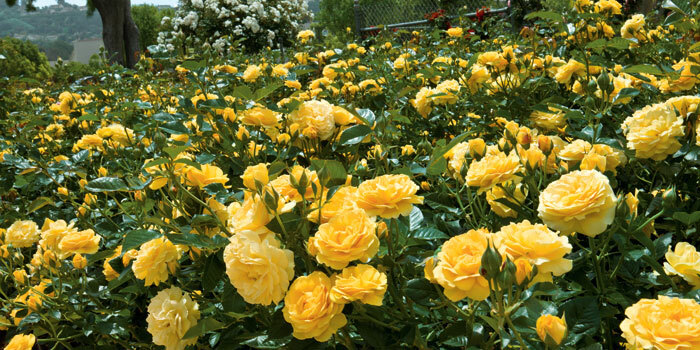 But, given the proper care, combined with a few simple pruning techniques, roses will re-bloom every six weeks until the first frost. There are two ways to prune roses during the growing season and both will encourage new blooms to set. If you also want to prune for size control, you can go as far down as two leaflets above the previous cut. Pruning beyond the previous cut tells the rose you don’t want it to bloom. Remember that hybrid tea and grandiflora rose stems tend to grow at least 18 inches after each pruning before blooming; so, if you prune only the minimum amount you will have a very tall (and possibly leggy) rose by the end of the summer. Because roses are constantly growing, they are in constant need of food. 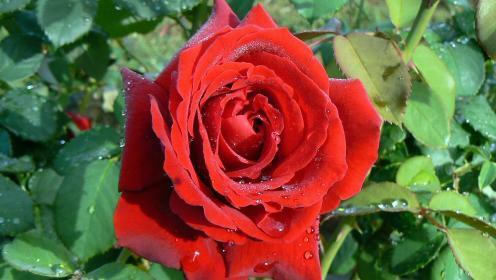 It’s important to feed roses every 6 to 8 weeks with a quality rose food. Continue feeding to September and you will have quality rose blooms into the late fall. So, don’t give up on your roses. With a little help, they will provide loads of blooms for you all season long. Good Luck with your blooms! © 2020 New Life Landscapes. Designed by THE PC WORKS!